Google Discontinuing ‘Inbox by Gmail’ in March 2019, Points Users Toward Gmail. Google’s Inbox, a service that provided a number of smart new features like snoozing emails and integration with Google Now Assistant reminders – essentially treating emails like individual tasks – will be shut down in March next year, a little over four years since its introduction in the October of 2014. The service – which came in the form of iOS and Android apps and its own website – funneled mails from your Gmail account to a different, slightly more gesture-driven interface with its own unique set of options. Many of these features slowly became redundant though, as both Gmail and Android itself started adopting Inbox’s core features. As of Android 8.0 (Oreo), snoozing has become an OS-level feature for all notifications and not just emails. Gmail started picking up some nifty features of its own over time too, such as basic gesture customization, Smart Compose, AI-driven priority alerts, and un-sending emails. 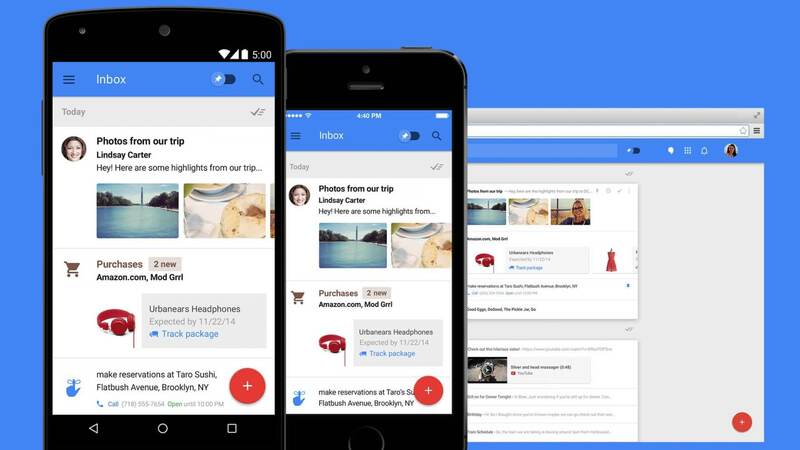 All of this was capped with the grand redesign of the Gmail website in April, which, in hindsight, appeared to be the final nail in the coffin for Inbox, despite Gmails new coat of paint leaving out bundled email options like Trips, Purchases, and Finances. For those who don’t recall, Inbox was Google’s answer to Mailbox, the original smart-email client that was acquired (and, eventually, nixed) by Dropbox. Both these services made quite the splash among tech enthusiasts, though not so much for their shared history of initially forcing users to register via an invite-only system.